Inspired by the travels of deep seer Fassin Taak, the hero from the Ian M Banks science fiction novel “The Algebraist”. 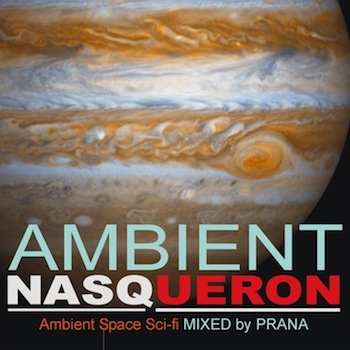 Ambient Nasqueron is an imaginary soundtrack depicting Fassin’s extroardinary experiences in the clouds of the gas giant Nasqueron (akin to Jupiter) where much of the novel takes place. No acoustic instruments were used in the making of Ambient Nasqueron. Layered synthesisers created rich textures to depict the thick, dark atmospheric themes of the novel. Read more at bottom of page. 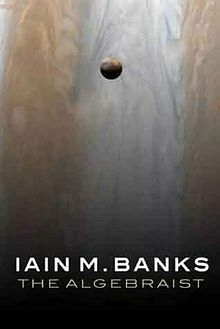 The epic space opera novel The Algebraist by Ian M Banks is so imaginative that I have had to be, in retrospect, bold, naive and arrogant to think I could create a worthy soundtrack for (parts) of it 🙂 On the other hand, as I’m listening to my album now, writing this note, I sense the ambient space music compositions does capture a bit of the some of the scenes in the book.